Our mortgage brokers will make life easy for you. From our initial review, every client is managed according to their needs. This means that there is nothing typical or ‘off the shelf’ about our process. Our guides and tools will prepare you for your investment, and our service and experience will give you confidence so you can enjoy the process. We keep in touch every step of the way. Email is our preference, but you can phone us when you need to. We are open during business hours, and we often work after hours too. We review your loan requirements and discuss your options. We’ll be in touch by email or phone. Your mortgage broker will contact you, by telephone or email, to discuss what financing options are available to you. The objective is to understand your requirements and to explain why some options may be preferable to others. This is a good time for us to answer any questions you have. We may need some documents from you. Following our initial review and contact with you, your loan application is finalised and emailed to you for your signature and return. We may need other information, like pay slips, or bank statements, and we will tell you what is required in our email to you. This way you have a simple list of things we need. Some situations require minimal information (perhaps just the signed loan application), but we can explain individual requirements at the time. Based on our conversations with you, we’ll get your loan approved we’ll be in touch by email or phone. After we receive the various documents, we will compile the loan application for the preferred lender. By this stage, we have generally narrowed the preferred lenders down to one or two options. Depending on the complexity of the proposal, we would normally receive a loan offer within 1 or 2 days (often sooner, but sometimes later). 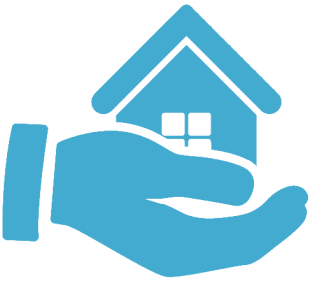 We will contact you to discuss the loan offer and to explain any conditions that need to be dealt with. There may be loan conditions to be dealt with. The lender may need a valuation, or there may be other documents which are needed to finalise your loan offer. We will coordinate this with you so that an unconditional loan offer is provided when required. We discuss interest rates and home loan options, and finalise your loan structure Phone and email contact. We will help you to establish a suitable mix of loan products and interest rate structures that will help you to achieve your goals. When your loan structure is set and your finance approval is unconditional, we will provide full details to your solicitor so that there are no mistakes in the loan and mortgage documentation. We ensure that loan documents and instructions are issued to your solicitor in time for settlement.